The organisers of the BOND IN MOTION vehicle exhibition at the UK’s National Motor Museum are inviting anyone with a vehicle of the same make and model as one that has appeared in any of the Bond films to bring it down to Beaulieu on the 29th July, 2012. Beaulieu visitors can vote for their favourite vehicle on display, with the winner receiving a People’s Choice special edition Beaulieu Trophy, commemorating the 60th anniversary of the Beaulieu attraction. The winning vehicle will lead a cavalcade of 20 vehicles selected from all Simply Bond participants through the grounds of the National Motor Museum. Simply Bond is open to any model of vehicle that has featured in a James Bond film, from a glamorous Aston Martin, Lotus or Rolls-Royce, to a more everyday BMW, or Renault. To find out if your vehicle has appeared in a Bond film, and for full details of the event, visit www.beaulieuevents.co.uk and click on Simply Bond, where you will find a full list of eligible vehicles. 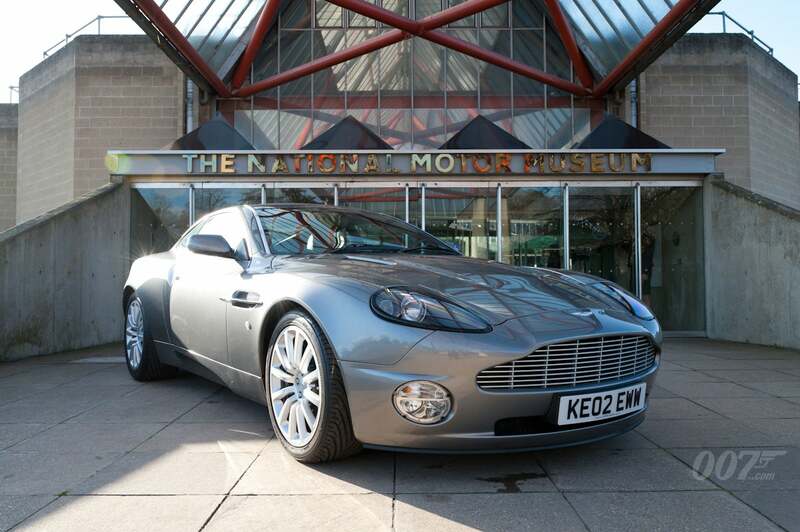 The BOND IN MOTION show will be at the National Motor Museum until December 2012. It’s the largest exhibition of Bond vehicles staged anywhere in the world, showcasing 50 genuine vehicles from the Bond films as part of the celebrations for the 50th anniversary of the James Bond films. Some of the best-loved and most iconic vehicles are on display, including ‘Wet Nellie’ the Lotus Esprit S1 from THE SPY WHO LOVED ME and the CASINO ROYALE Aston Martin DBS stunt car which rolled seven and three quarter turns to claim a Guinness World Record. You can also view film clips and behind-the-scenes footage from some of the most memorable vehicle stunts in the film series.